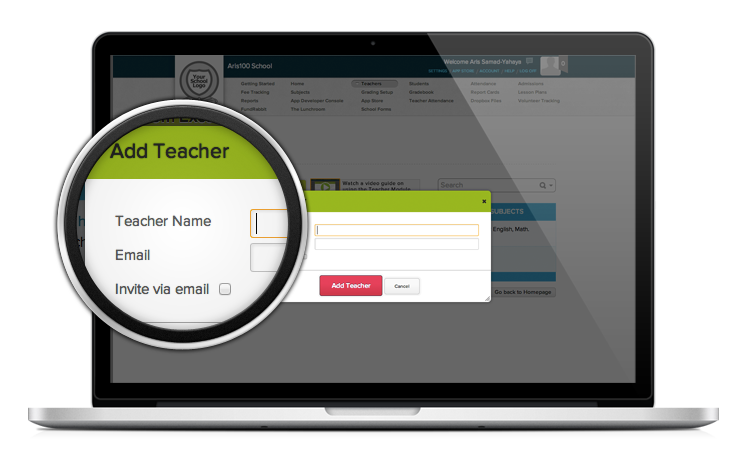 Using the QuickSchools interactive teacher database, you can easily enter and make basic information about staff members available to qualified administrators. The interactive teacher database makes creating new classes, viewing a teacher’s class schedule, and filing reports incredibly easy and efficient. Each teacher has one file that enables them to keep their schedules, students, and classroom information all in one place. That single database file allows administrators to have up-to-date information about the teachers and their classes at any time. It also provides a secure way to for teachers to log onto QuickSchools and access their school records and information. 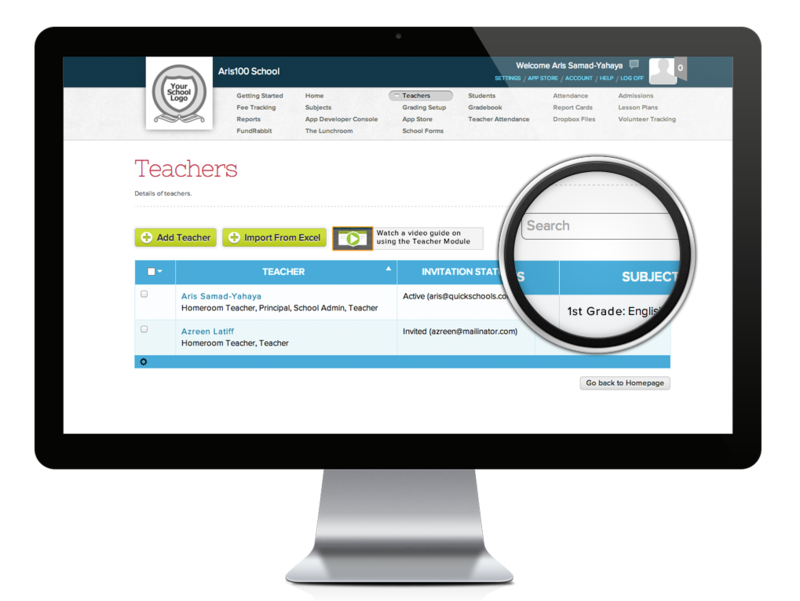 It is faster for teachers to fill out classroom reports and forms using the interactive teacher database because all of the basic information including the teacher’s name and classroom details are automatically placed in the form by QuickSchools. Teachers simply fill in the details and click OK. Reports and forms are automatically saved to the teacher’s file as well as the student’s file and parents and administrators can be notified immediately by the teacher when the report is filed.